The tests will reveal whether everything is normal and whether the baby is developing normally. Scans, tests, and examinations conducted throughout are very important because according to the results of these, the doctor will give you advice about going through your pregnancy so that it is safe and you can sustain your pregnancy successfully. A few blood tests are a part of the regime. Your doctor will also recommend you start taking prenatal vitamins right away, if you’re not already. 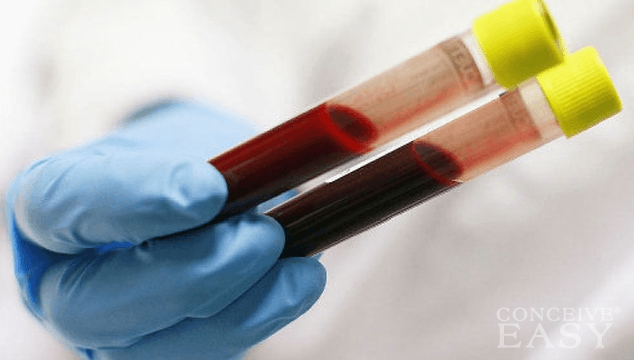 The first test carried out at the doctor’s office is, in fact, the blood test. This is done to confirm the pregnancy. If the doctor detects hCG or human chorionic hormone in the blood, it is confirmation that you are pregnant. There are other types of blood tests too, which are carried out through your pregnancy. While some are performed at the clinic, others are performed at the lab. Here are some of the routine blood tests that are carried out during pregnancy. As is common knowledge, there are four different groups of blood: A, B, AB, and O. It is important to find out your blood type and that is done through blood type testing. At the same time, the presence or absence of Rh factor is determined. Rh is an antigen seen on the red blood cells or RBCs of many individuals.If you have the Rh factor on your RBCs, you are Rh positive and if you don’t, you are Rh negative. If you are Rh negative and your baby is Rh positive, complications may arise in subsequent pregnancies. To avoid that, you will be given a shot of the Rhogam medication. Knowledge of the blood type is important because you might need a blood transfusion in your last trimester or postpartum. To be ready for such a circumstance, the blood type is found out beforehand, in the first trimester itself. This test is also carried out during the first trimester. While it is not compulsory to take this test, it is advisable to do so. The test is a complete blood analysis and will reveal how much hemoglobin you have and whether you are anemic. If you are, the doctor will recommend iron supplements. Remember that iron is very important especially through pregnancy because more blood is pumped out in order to sustain the pregnancy. Only when there is enough iron will enough blood be produced. The complete blood count test will also show the levels of platelets, white blood cells, and red blood cells in the body. These levels can tell you a lot about infections and illnesses, if present. Platelet count is also very important because blood clot depends on the platelet count. If you have low platelet count, you may have hemorrhage during delivery. Finding out the glucose levels in the blood is also important because it will show whether you have gestational diabetes. This test is carried out in the second trimester, towards its end. For the test, you will need to drink a sugary drink. After an hour your blood will be tested. Gestational diabetes ends with pregnancy itself and most women don’t suffer with diabetes after birth. However, the risks of type II diabetes in the future definitely increase.